Lori Hagar began her career at the Medical College of Wisconsin in the Department of Obstetrics and Gynecology in 1995. She has more than twenty years of experience as a Women’s Health Nurse Practitioner. 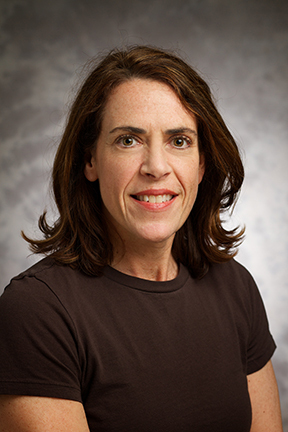 Lori earned her Bachelor’s degree in nursing from Luther College in 1986 and received her Master of Science degree in nursing from the University of Wisconsin – Milwaukee in 1998. Lori’s practice includes routine gynecologic care for women of all ages. Additionally, she has developed a special expertise in office procedures including colposcopy, IUD insertions, endometrial biopsy, Implanon insertion, and pessary management. Lori is an adjunct clinical instructor in the College of Nursing at the University of Wisconsin-Milwaukee. She has fifteen years of experience providing pelvic exam instruction to medical students, residents, and nurse practitioner students. She serves as a mentor to nurse practitioners in training, and is active in the nursing community as a member of the Metro Milwaukee Nurse Practitioners organization and the National Association of Nurse Practitioners in Women’s Health (NPWH). Lori’s sensitive, collaborative approach to patient care has been recognized by colleagues and she was recently nominated for the 2011 Excellence in Advanced Practice Nurse Award. Lori sees patients in the Obstetrics and Gynecology clinic at Froedtert Hospital, located in our Specialty Clinics Building, formerly known as Froedtert East Clinics. I do want to thank Lori Hagar for helping me through the process. I have extreme anxiety. When it comes to new doctors I get very scared and she was wonderful with me she made me feel calm and relaxed, and very comfortable the entire visit. I would definitely come to her again if needed. Thank you again Lori for being so patient with me & my anxiety. Lori Hagar is the best provider I have ever encountered. She is genuinely concerned about my health and provides care and knowledge to help in every way possible. I think Lori Hagar is excellent! I always look forward to my appointments with Lori Hagar. I don’t like pap smears, but I like the gentle and caring way she provides service, which puts me at ease. She listens to my questions and concerns – she’s like a care giver (friend). I have seen Lori Hagar for routine appointments for many years. She is an outstanding APP — knowledgeable, honest, never seems rushed, and has a calming, professional manner. She is the best.